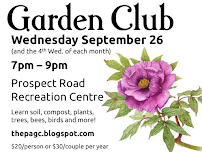 The Prospect Area Garden Club meets on the fourth Wednesday of every month between September and May with two social events scheduled before the holidays and before the summer break. Each meeting will start with some social time from 7:00pm until 7:30pm. Meeting business starts at 7:30pm. We will be meeting at the Prospect Recreation Community Centre (unless otherwise stated). Registration Continues and Special Guests! Registration continues, social time and any special announcements. 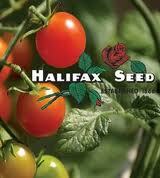 Glen Wilson, Halifax Public Gardens presents Bulbs: Prep and Care for the Spring show. Also Friends of the Public Gardens will talk about the Victorian Garden and its history. Decorative hanging baskets or wreaths.. This is our member participation night! 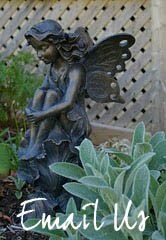 As we have done in January for a few years now, we will all share about our successes and challenges in our gardens. This year the theme is edibles and medicines - or even edibles AS medicines! 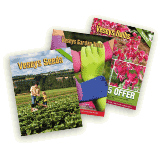 Valerie will be providing some brief information on a few wonderfully medicinal plants that are easy to incorporate into any garden plan. To round out our discussion, it would be great if each person could come with a bit of information to share about one or two of your favourite garden edibles or medicines and how you incorporate them into your household. Marion Munro, retired Curator of Botany with the Nova Scotia Museum, will return, sharing some food and recipes using native plants collected while foraging this past summer. We’re not sure about the menu, but she’s asked us to bring ice cream!